If you want to learn how to create your own tracks, then this is the page for you! Download the Tutorial Studio. Unzip it to a folder on your hard drive and open the tutorials.html file to get started. N3 Sandbox to create your track in N3 format. DooDat for managing .dat files. 3doEd for viewing and editing .3do object files. N99 to ICR2 Converter to convert your track from N3 to ICR2. WinMip for converting textures and other graphic files. Ins2Ope Toolbox for easily putting back objects in an edited track. 3do Editing Tools to decompile and recompile object files. Last Chance Tools converts graphic files in higher quality than Winmip. LP Edit to make or edit the .lp files for a track. You also need a text editor, an image editing program and a hex editor. A lot of information in the Tutorial Studio can be used to edit existing tracks, but considering the fact that making tracks completely from scratch requires all editing skills, this page is designed to lead you through the proces of making an entire track from the ground up. This was made possible for both the NASCAR Racing 3, as well as the Indycar Racing 2 community, by a guy called Tim McArthur. He has posted the tools that were used to build the tracks that were in Nascar Racing 3 on his website. Because we can convert N3 tracks to ICR2 pretty easily we can now build a track for N3 and then convert it to our game, adding necessary files to make it run. 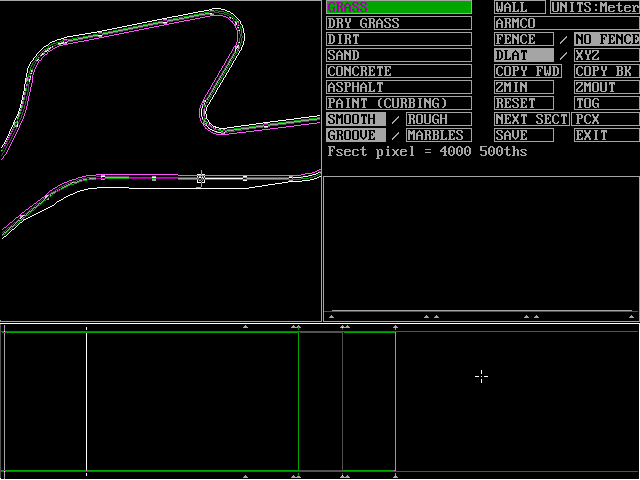 MistyCreek has also made his own set of tutorials for creating a Nascar Racing 3 track with the Nascar 3 Sandbox. It can be hard to find if you do not know what to look for, so here is a direct link.